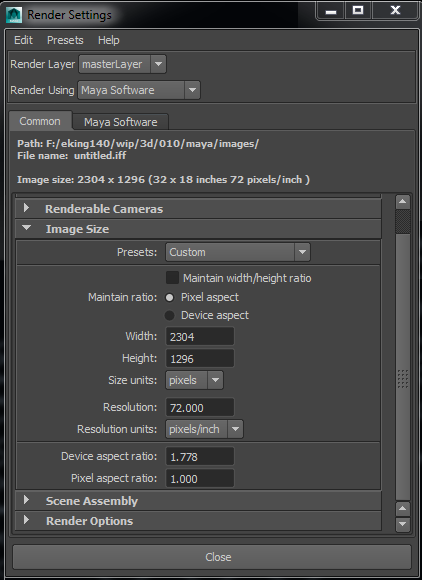 Maya UI refresher and rendering tips. Middle click and drag a camera or light into a viewport. This will set the POV of the panel. Create a new node – press TAB to bring up a search box, type in the name of the node you want to find (ie. bump) then click on a node in the drop down list. Press TAB (or ENTER ) again to create the node. Middle click on a material to drag it from the shelf to the work area. To expose the mip shaders cut and paste the following script into the MEL command window. After restarting MAYA the mip shader nodes should be exposed. 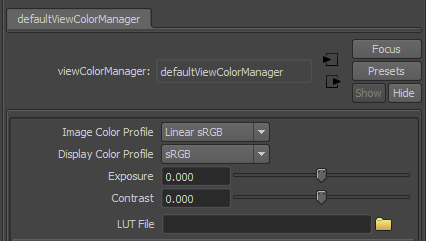 To set up a Linear workflow in Maya I need to be conscious of inputs and output colour spaces. 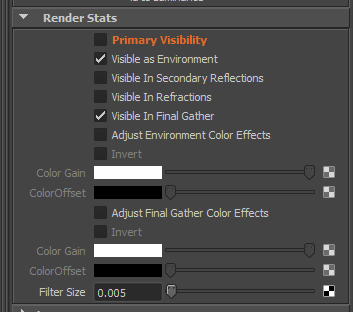 In Maya 2014 you need to adjust the motion blur settings to affect when the motion vector is calculated. IBL is cool but when using render pass I need to remember to turn it off correctly. Simply hiding the object in the render pass doesn’t work. It needs to be turned off in the IBL dialog. If you need to match an existing image with an overscaned version of the image then do this. Based on a multiplier, you take your format (e.g. 1920 x 1080). Then multiply it by the percentage you want to overscan. For example to overscan a 1920 x 1080 plate by 20%. Calculate the new frame size. 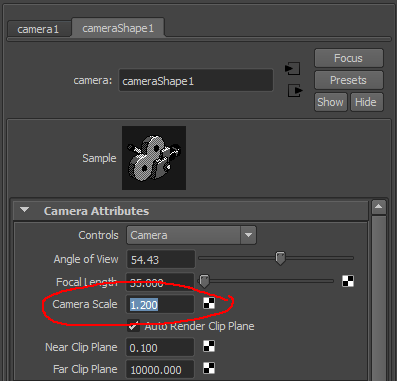 Finally add the 1.2 value into the camera scale in the attributes editor.